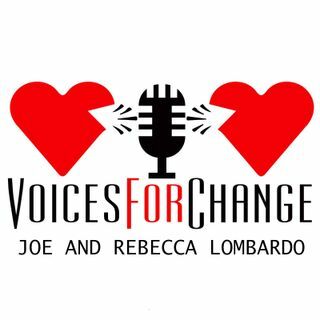 Voices for Change - "Jessica Castro"
Rebecca & Joe share their Saturday morning with TV Bride celebrity Jessica Castro! Jessica shares her life changing experiences of dealing with domestic abuse first hand. Learn how it affected her while it was happening in front of and behind the camera. Jessica also shares what she has learned from this life experience and what she is doing now! #AskJess :: periscope Tuesday's were good fun to support you! what do you do to keep yourself motivated or inspired? the "show" showed Jessica she's fierce and a force to be reckoned with! She has done nothing but become bigger and better... hopefully Jessica continues to know she is loved by many, her genuine heart will make her a lovely wife and mother one day.... and for now an all around good person! Hi Deanna! Jessica is a pretty special person there is no doubt there! To be able to take her experiences and make the very best she is now is pretty Awesome! Cameras don't lie.... Jessica is a beautiful person inside and out! #TeamCastro all day!!!! What a stunning bride :bride_with_veil: Jessica was too!!! Jessica made it all look so effortless!